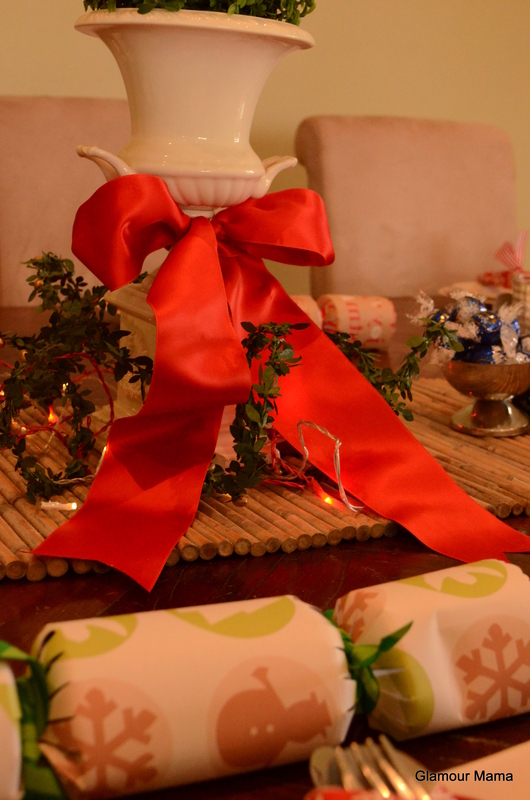 Having an “Away” Christmas meant we didn’t have our usual Christmas props. No festive songs blaring from the motorised snow dome “here some Santa Claus, here comes Santa Claus” (repeat a zillion times add nauseum), no festive tablecloth, no fake snow and no plastic reindeer. Shame. Unfortunately we didn’t have some of our favorite things either… you know, THE cake platter the Pavlova always takes pride of place on. THAT platter that the sliced turkey always gets passed around on. No fancy crystal, nor Nanna’s silverware or even linen napkins. 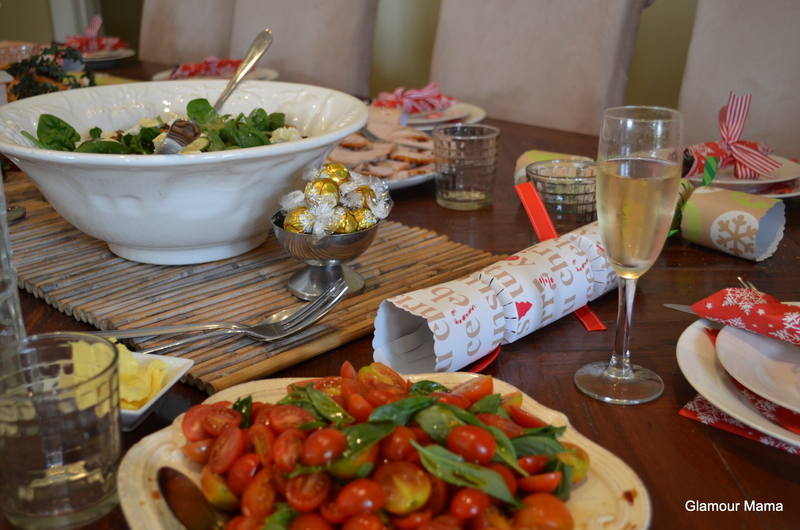 Nor did we have a familiar kitchen in which to whip up the traditional gourmet feast. So we simply threw some marinated seafood on the BBQ. There was of course the usual suspects of a festive Christmas feast… potato salad; turkey roll stuffed with sage, pancetta, pistachios and cranberry, ham off the bone. 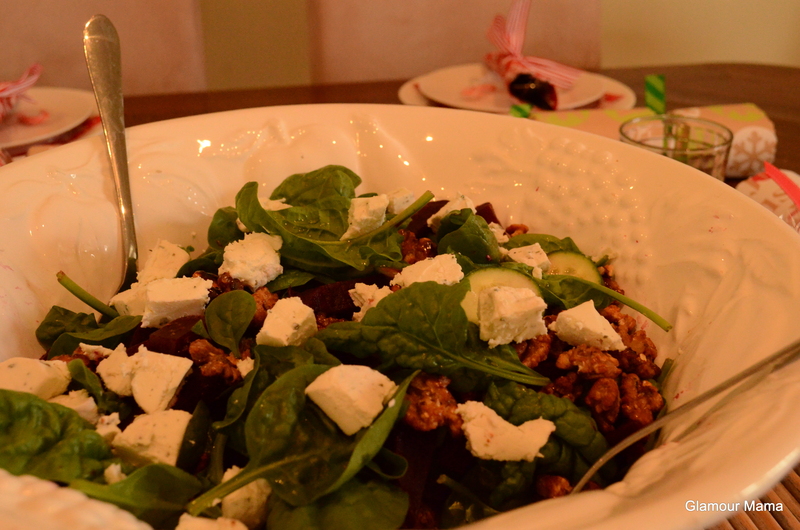 With some fresh yummy salads… Mum’s famed mango and avocado salad, baby spinach salad with goats cheese and beetroot salad, plus a tomato and basil salad. Because we were feeding an army. Apparently. The Cherry Pavlova didn’t make it to the table because no one was interested in the sweet stuff. Just as well actually. The Pav fell flat (note: plain flour is NOT the same as cornflour). But it tasted great and made a lovely Eton Mess the next day. The lemon rind somehow ended up with in the cherry syrup instead of the marinade, but this too was still filled with sweet and sticky goodness. 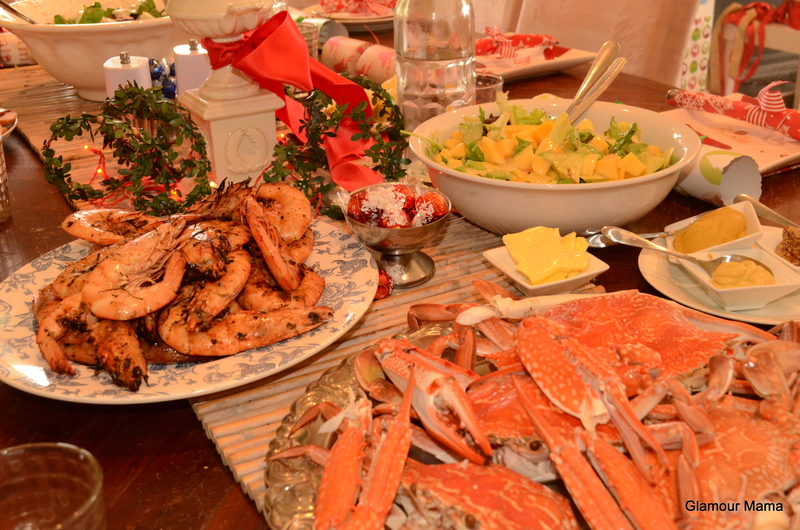 It was fresh, relaxed and delicious feast. Fit for merry holiday makers. Thanks mostly to Mum, who did most of the work! And who claims she (mostly) loved every second of it. 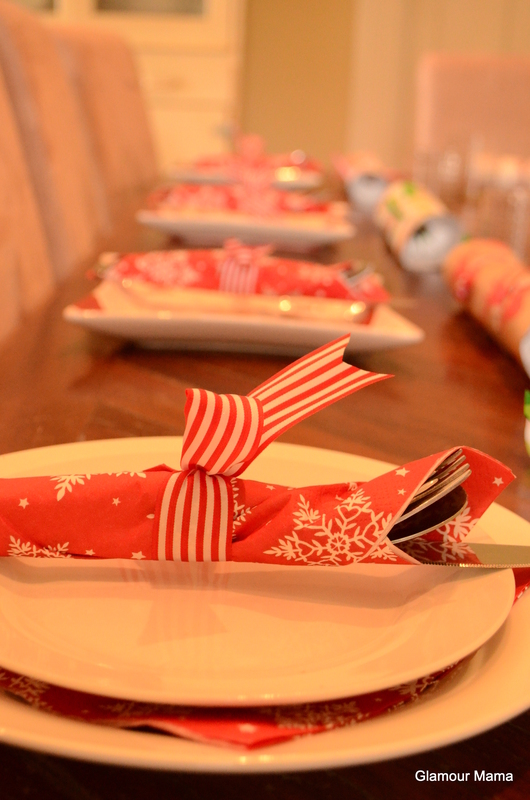 What did you Christmas table look like this year?